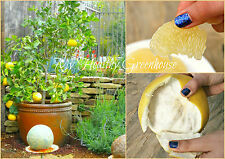 SEEDS – Dwarf White Flesh Sweet Grapefruit “Oro Blanco” Great in Containers! 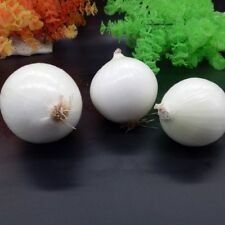 Spring onions will grow in any good fertile soil provided it is well drained. For an early spring crop sow seeds in autumn and over winter. Sow thinly 6mm (0.25in) deep in drills 15cm (6in) apart. (Direct sow mooli radish seeds outdoors from late June to July. Earlier sowings risk a higher chance of bolting. Sow oriental radish seeds thinly at a depth of 1cm (1/2") in drills 30cm 12") apart. When large enough to handle, thin out the seedlings within each row to 10cm (4") apart. Plant in single rows at a distance of 50-90cm (20-36") apart leaving 2m (6') between rows. Pull a little soil around each plant to keep it from touching the plastic mulch. 25 SEEDS. PERENNIAL ZONES 8-10.ALL OTHER ZONES CONSIDER ANNUAL. EASY TO GROW FROM SEED! LEAVES ARE TEAR-DROP SHAPED AND GREEN-GRAY WITH A DUSTY APPEARANCE THAT MAKES THE LEAVES LOOK SILVERY. Sow Cucumber seeds from March to May for indoor cropping and for transplanting outdoors later on. Outdoor varieties may also be direct sown outdoors from May to early June. Grow Cucumber plants on until they are large enough to be transplanted. WHITE SWAN 3-4 FEET HIGH JULY THROUGH SEPTEMBER BLOOMS. Flowers attract butterflies and bumble bees. Cone flowers will tolerate almost any soil type but boggy. It loves full sun. 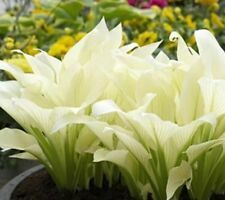 It is suitable for mixed borders with perennials, or can be used as a flowering feature among low shrubs and conifers, and looks lovely when planted in a mass in a container on patios and balconies. Aschers, also known as white calyx, white crane cents. For the Liliaceae perennial perennial herb. 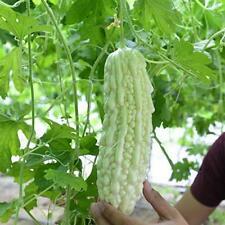 Flower white, tubular funnel-shaped, aromatic, flowering from July to September. Genus: Hosta genus. Sow Cauliflower seed from April to June. Direct sow outdoors into a well prepared seedbed, for transplanting to their final positions later on. Sow at a depth of 1cm (1/2") and distance of 30cm (12") between rows. When the seedlings are large enough to handle, carefully transplant them into 7.5cm (3") pots and grow on at a slightly reduced temperature. You are buying 24 PURE WHITE CYPRESS VINE (AKA: Hummingbird vine, Star Glory) (Ipomoea quamoclit) SEEDS PLUS planting instructions, including a color photo of a seedling for easy identification. The vines grow up to 20 feet and have dainty, feathery, fern-like leaves which form the perfect backdrop for the beautiful PURE WHITE blooms which cover the vine top to bottom! Quantity: 10 seeds. plant spacing: 18 - 24". soil & water preferences: average. hardiness zone: annual. (The seeds are grown in our biological garden farm here in Hungary. NO GMO and NO pesticides. 6) Duration of Storage of Personal Data. IF YOU EXERCISE YOUR RIGHT TO OBJECT, WE WILL STOP PROCESSING THE DATA CONCERNED FOR DIRECT ADVERTISING PURPOSES. When should you start tomato seeds?. Seeds are harvested in 2016 from tomatoes raised from seed and grown in our garden in Edmonton, Canada. Our growing season here in Zone 3 is fairly short. We start our seeds indoors in early April and set plants out in the garden in early June, when the soil is warm and the small plants will root in quickly and get off to a strong start. 50 SEEDS. EASY TO GROW FROM SEED. A DRAMATIC PLANT TO HAVE AT THE BACK BORDER BECAUSE IT GROWS TO SIX FEET TALL. HAS COMB-LIKE FLOWER HEADS THAT WERE USED IN THE WOOL INDUSTRY TO BRING UP THE NAP IN WOOLENS. Product Type: Bonsai Seeds. Style: Perennial. Location: Garden. Full-bloom Period: Spring. However, if you can send the order to your country faster then we will use it. (The seeds are grown in our biological garden farm here in Hungary. NO GMO and NO pesticides. Conclusion of the Contract. 2) Conclusion of the Contract. With this separate confirmation the contract will be concluded. 30 SEEDS.THE CARNATION IS A DELICATE, DURABLE & DELIGHTFUL FLOWER. THESE ARE A DEEP DEEP DARK PURPLE (LOOKS LIKE BLACK) WITH WHITE LACY EDGINGS. BLOOMS THE SECOND YEAR. CAN BE GROWN IN THE GARDEN OR IN CONTAINERS IN-DOORS. Product Type: Bonsai Seeds. 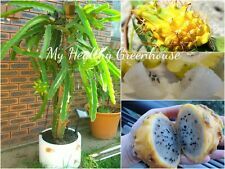 200 Pcs Sweet Black Berry Giant Blackberries Heirloom Bonsai Triple Crown Mulber. For people who create Beauty all around! Use: Outdoor Plants. Location: Garden. Full-bloom Period: Spring. 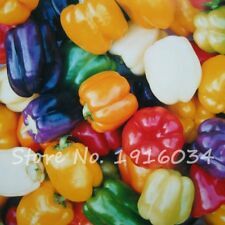 Variety characteristics: small radish varieties, fleshy root round, small fibrous roots, weighing about 20 grams per plant. In addition to the hot season throughout the year, other seasons can be arranged open seeding. Product Type: Bonsai Seeds. Style: Perennial. For people who create Beauty all around! Classification: Novel Plant. Location: Garden. Full-bloom Period: Spring. However, if you can send the order to your country faster then we will use it. The white blooms were the size of saucers and the plant is a perennial. All my seeds are open pollenated! Use: Outdoor Plants. Location: Garden. Full-bloom Period: Spring. However, if you can send the order to your country faster then we will use it. Style: Perennial. AGATA . Grow radishes in full sun or partial shade. Plant radishes in loose, well-drained soil. Add organic matter to planting beds before sowing radishes. Radishes prefer a soil pH of 5.5 to 6.8. The seeds are grown in our biological garden farm here in Hungary. NO GMO and NO pesticides. After expiry of this period, the corresponding data will be routinely deleted, provided they are no longer necessary for the performance or initiation of the contract and/or there is no longer any legitimate interest on our part in the further storage. Seeds from Tacca chantrieri NIVEA white. The throat shows the coloration of faint purple brown, and from this region protrude 10 to 20 prominent dark purple bracts. Flowing from this area are up to 30 thin white tentacles whiskers. 40 Hollyhock Seeds: 20 YELLOW PLUS 20 WHITE (or your choice). 40 HOLLYHOCK SEEDS 20 YELLOW 20 WHITE hollyhock seeds. HOLLYHOCK COLORS VERY PALE PINK. REDDISH ORANGE / YELLOW. LIGHT ORANGE. Grown in Colorado at 6000 feet. Product Type: Bonsai Seeds. Style: Perennial. However, if you can send the order to your country faster then we will use it. Climate: Temperate. Full-bloom Period: Spring. Location: Garden. 50 SEEDS. EASY TO GROW FROM SEED! CAN BE STARTED INDOORS IN WINTER TO BE TRANSPLANTED OUTDOORS IN SPRING. PERENNIAL ZONES 7-11. All of our seeds are fresh, viable, and tested. I send instructions. It is also the most popular early white-skinned squash. In addition to regular Squash uses, try them shortly after the fruits set, boiled and served like Asparagus. The plant has a bush form. We do everything to ensure you receive quality seeds.